Tomatoes are such a perfect food. Sadly, many people strongly dislike them. I can’t imagine why. They are the perfect evolutionary color–a bright red when ripe to attract vision-oriented primates. They are loaded with nutrients and a vital part of a healthy diet. They are also so versatile–great raw or cooked, on their own or with other foods. 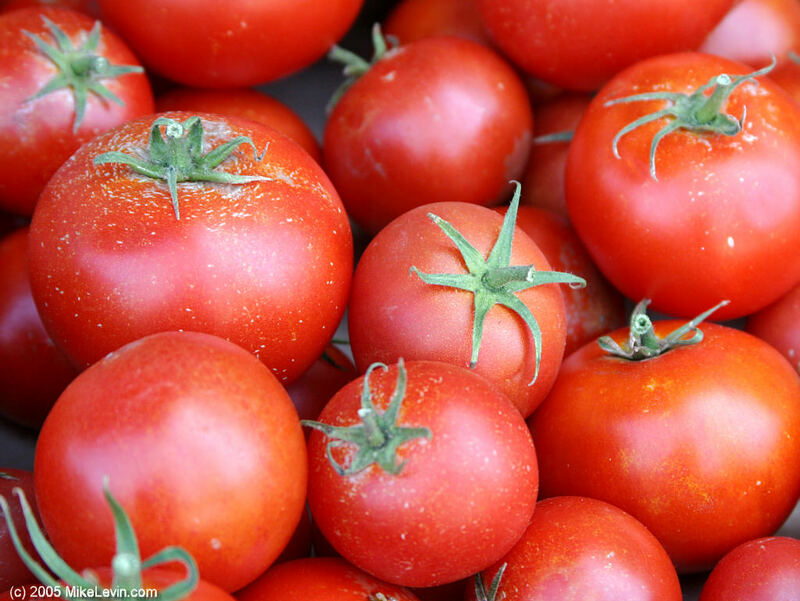 Tomatoes are one of the few foods we eat that are great in any stage of readiness. Canned, freezing, stewing–all only serve to enhance their nutrient output. I would go so far as to argue that tomatoes are intentionally begging us to eat them by being so accommodating to all the various methods modern humans have invented to process food for storage. 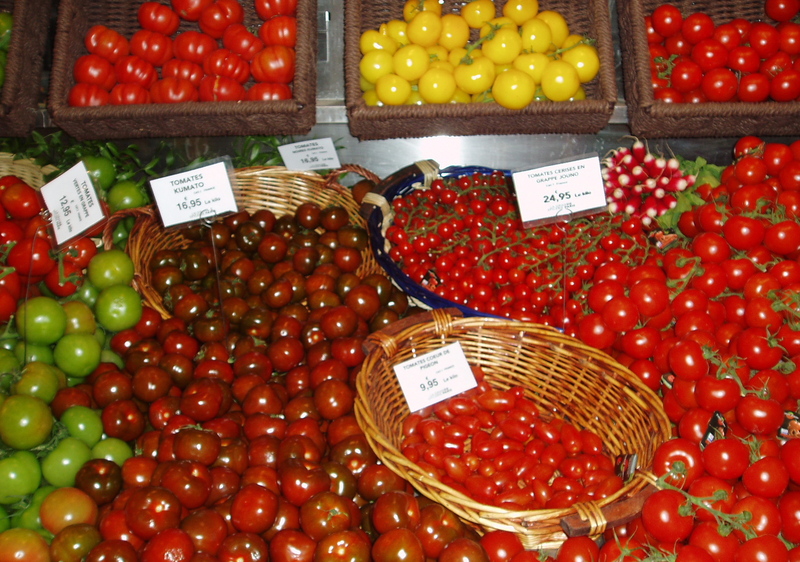 In our modern society where too many people eat overly processed and nutrient poor food, the tomato is a salvation. Ever since Columbian exports of New World foods, the tomato has infiltrated world culture to the point that many cuisines are incomplete without them. Yet, so many varieties have been lost without lament. Such a perfect food reduced to the plain hothouse variety usually found in stores. Unless you have a store that stocks heirlooms, that is. Heirlooms are plant seeds from old lines. I recently tried a pack of heirloom varieties that included a purple striped Central American species (that incidentally came via Canada). It had such a pungent acidic taste that perfectly complemented the sweet cherry red and yellowy-orange species in the same box. If I had to survive on a desert island (and I have given this quite a bit of thought), I think I would happily make do with tomatoes, basil, garlic, bananas/plantains, coconut, and dark chocolate (OK, cacao). You forgot the vidalia onions to complete the perfect salad. omg!! I amor tomatos thy r lyk the jesus of fruit! and veg 4 tht matter! 4get bananas this seasons all about TOMATOS!! those tamatoes look very delicious!!! well,i love tomatoes..GOD BLESS THEM!